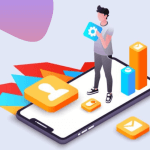 In this blog post, we are going to discuss everything about app monetization and will let you know how to maximize app revenues. Deciding to develop an app is certainly not an easy job, as it requires a smart idea, proper planning, market research, etc. More importantly, app development is a hefty investment. This compels enterprises or an individual think twice before finalizing their decision. Of course, everyone knows that an app has become necessity for business for various reasons including interacting with target audience directly, send promotional notifications, increase sales of products and services, etc. In other words, app has a pivotal role to help business grow adequately. Is there any way to earn money from app directly, apart from business growth? Certainly, yes! App monetization is nowadays is in trends and majority of app owners are using the best method to earn hefty amount. And thus, they get better returns of their investment. So, how to monetize an app? Here, we are going to discuss everything about app monetization and will let you know how to maximize app revenues. Before this, we will let you know the basic concept in terms of actual meaning of app monetization and also how it works. What does App Monetization Mean? To defining app monetization meaning, it is a way to earn money from app even without charging for download. 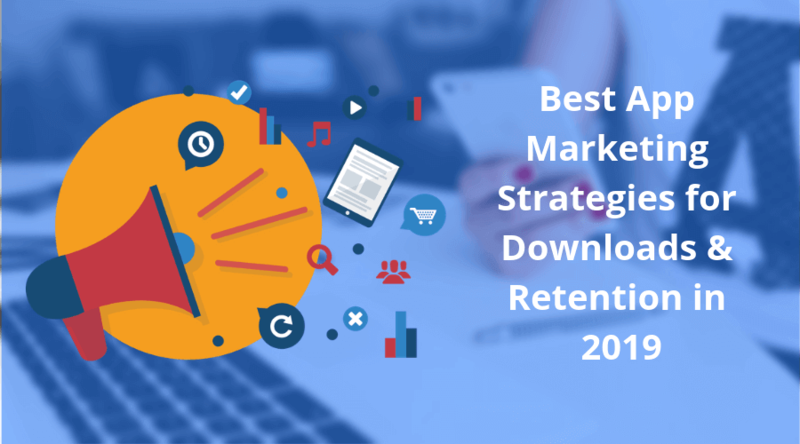 It helps you generate revenues from your app, with a proper planning and indeed, the right strategy. You can earn revenues from your mobile app in many ways including in-app purchase, advertising, selling data, one-time payment and more. 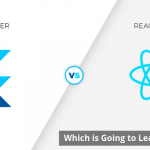 According to source, in-app purchase is used to a wider extent by developer across the world. 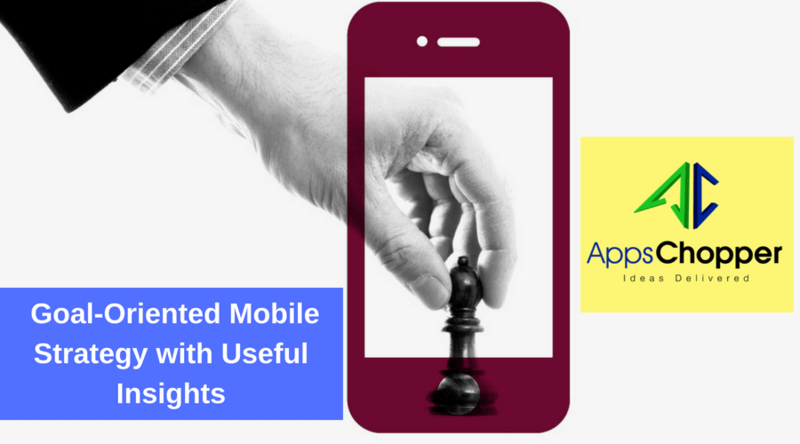 A mobile app company will help you in choosing the right monetization strategy, to earn maximum revenues. 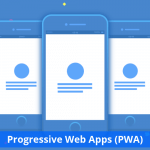 They make selection of the right monetization model according to type of your app and incorporate the same successfully. So, hiring the right one from list of top app monetization companies should be focused to make your plan more dynamic. The most interesting fact about app monetization is that even a free app can earn. Isn’t it? As we already discussed above, there are several ways of monetizing a mobile app. Advertising is the most common app monetization model that is used to a greater extent of late. In this model, your mobile app will display advertisements or commercials of different brands and you will be paid for every click by users. In this app monetization trend, the mobile app owner gets paid by the third parties. So, if you are considering this way to monetize your app, you should also consider Google AdMob. It’s the best app monetization platform to generate revenues from your app and maximize your earning from both advertisement and in-app purchase. How much money one can earn through Google AdMob? The selected revenue model for your app. Your app revenue model for earning money from users who click your ads. Or you just rely on in-app purchases. Efforts you put in your app promotion. What is App Monetization Strategy? 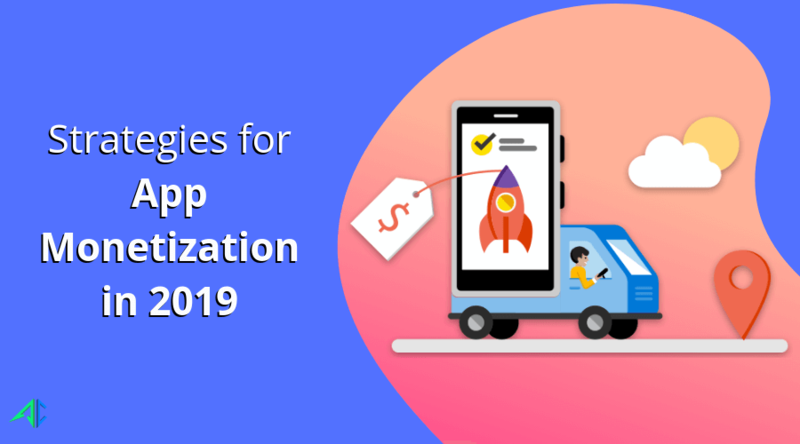 Take a look at certain most sought-after app monetization strategies in 2019, that are gaining a huge attention from app developers for churning out a huge revenue. These strategies are also the best answer for those who are seeking to get answer of how to monetize Android app or iOS app. It is the most trusted app monetization models that app owners have every reason to rely on. 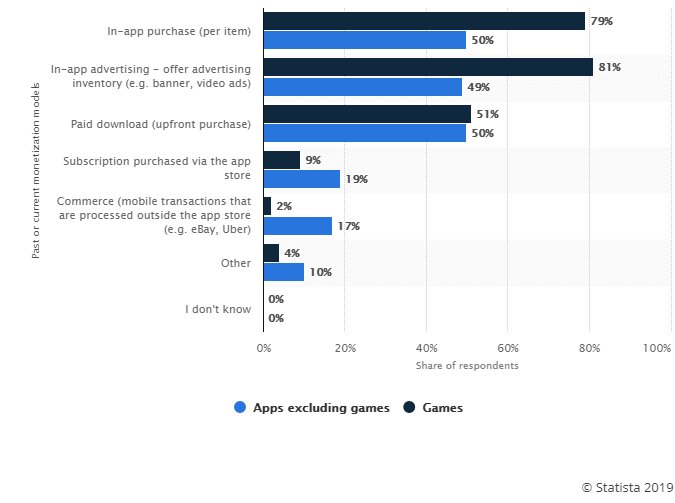 You can expect better outcomes by combining in-app purchase with in-app advertising. Majority of developers nowadays implement this to maximize the app earning. But, it’s fact that combing in-app purchase (IAP) and in-app advertising (IAA) is not easy. The actual reason is these two have different vendors. 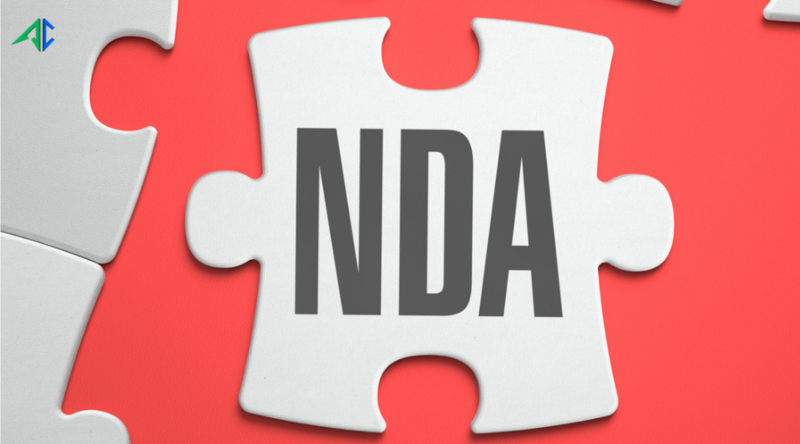 Developers tackle this issue by designing functionality to bring both IAP and IAA under a single roof. It’s another tested and tried app monetization strategy that you can use to earn money. All you need to do is to keep in mind about privacy and law. However, this act is certainly not an illegal activity. 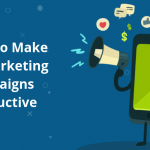 You can collect email IDs or contact numbers of your app users and can sell these to others who require the same to run their online marketing campaigns. And they will pay you a heavy price for this. Almost every free app relies on this app monetization strategy and earn hefty revenues from their apps. Of course advertisement is the best way of monetizing app. But, too much ads sometimes distract users and eventually, make them highly frustrated. So, it tends to spoil your app monetization efforts as well. It’s better idea to make your advertising campaign localized using cutting-edge technologies such as WiFi, GPS, Beacons, etc., These are the most useful technology stacks, which allow those of real-time targeted mobile-ads to easily connect with users, when they are nearby the stores. Users tend to access the ads more likely, when they are nearest to the location of a particular store to buy anything. Virtual currency is something that is used to monetize mobile app especially a game app. Users can earn currency by playing online game and by reaching on a certain specified level. To encourage users to win more virtual currency, you can put certain conditions like downloading certain apps, playing more or earning currency through certain advertisements. If your app is quite popular, then you should let other brands promote their products and services, to improve sales. Of course, they will pay you in return of it. Though it is the most common mobile app monetization strategy yet highly effective, especially for game apps. In the affiliate marketing, you will earn money when brand generates leads through your app. In order to maximize revenues, you need to plan a special strategy. You can encourage users to redeem their points using the affiliate ads, earn virtual currency or more. 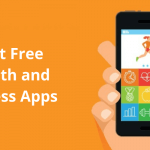 As the name suggests, freemium apps are free for users to download. In order to use the app, users need to access certain premium features that are paid. In this way, you can earn money through their freemium model of app monetization. The main intent of this model is to attract users to increase download of the app. The more app downloads, the more revenues will be generated. In other words, the app user engagement determines how much money you can earn through freemium model. In order to get maximum out of this model of app monetization, always put efforts to make content updated and fresh. Remember, users are not interested to pay for old or irrelevant content. So, always keep this thing in your mind. All you need to do is to make a proper routine to update your app to encourage users access your app frequently and engage with it. 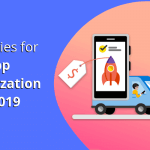 In other terms, you should encourage users to spend more time on app and this will definitely make your app monetization strategy successful.